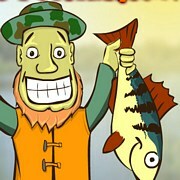 Description: Radical Fishing is a very special and crazy game. At first glance you might over look this and think it's some Atrai Garbage because the graphics are horrendous. 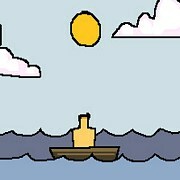 I can assure this game is plain AWESOME though once you give it a chance. 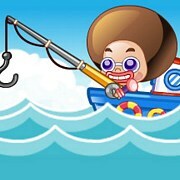 You play as a guy fishing alone in the ocean. 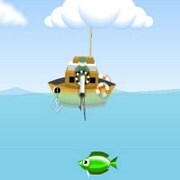 Your goal is to catch the last weird fish at the bottom of the ocean. 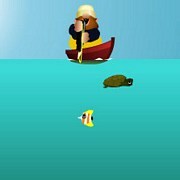 Before that you must catch as many fish as you can, toss them up in the air and shoot them to earn cash. 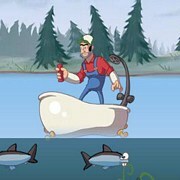 The cash can be used to buy upgrades that can help you in a lot of ways such as going deeper or chainsawing through fish, lol. 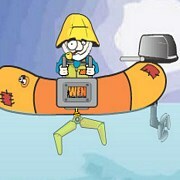 Instruction: Go as deep as you can and catch as many fish as you can on your way up. Shoot them all for the most money. Keep upgrading! 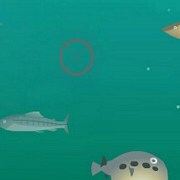 Game Controls: Use your mouse to fish and use your gun. 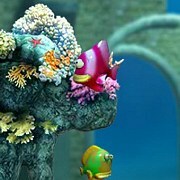 If You like this Game! Please Share It with friends and family!